A few days ago, I ran into an English couple who are honeymooning in America for the next 3 months. They said that they are interested in sport, so I told them about some options in NYC over the next few days. There does happen to be a lot of college basketball on the final weekend of the year, and I suggested a Columbia Lions game as the most convenient. With the 1 train skipping all stops between 96th and 157th, we took the M5 bus up Riverside Drive, a much quieter and more scenic option. 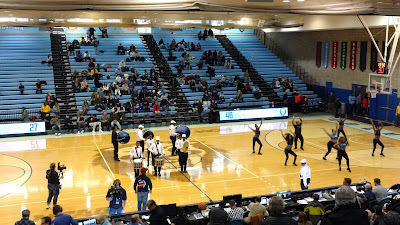 Upon arriving, we picked up our tickets and entered Levien Gymnasium, at the corner of 120th and Broadway. With most students away for the holidays, the gym was only about half full, with the majority sitting on the east side as usual. 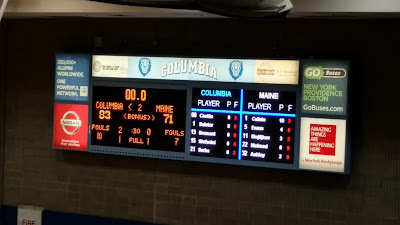 The Maine Black Bears were the visitors and they were thoroughly outmatched, as Columbia took a 46-27 lead at halftime and won handily 83-71, with the score made respectable by the Lions resting their starters for the last few minutes. The game moved quickly although there were 38 total fouls, and it was a good introduction to mid-major college hoops for my friends. 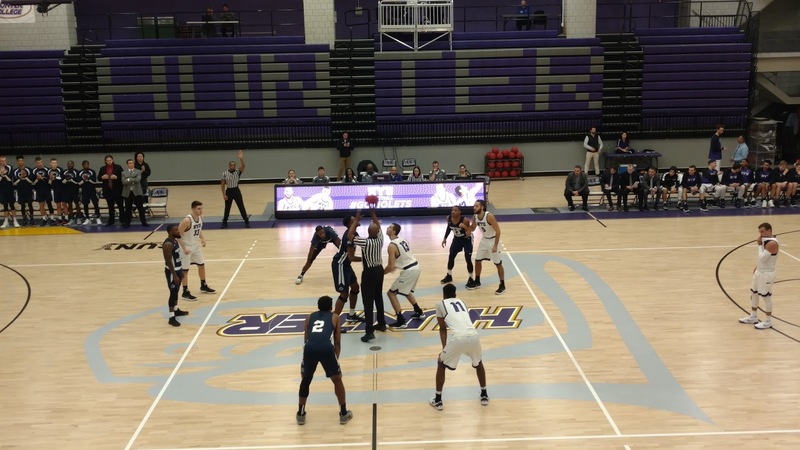 After saying goodbye as they headed downtown for some touring, I continued on to the second stop of the afternoon: a Division III basketball game at Hunter College Sportsplex. This gym is located in Hunter College at the corner of Lexington and 68th, right where the 6 train stops. Just walk in, tell security where you are going, and take the escalator down two flights and there you are - an actual NCAA venue in central Manhattan. 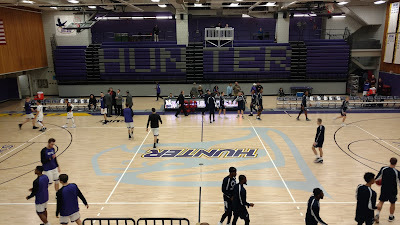 On this day however, it was not Hunter College who was playing, but the NYU Violets, who also call this their home gym. As their hockey games are free, I expected the same for basketball, but in fact they charge $5. However, you get an excellent hard ticket and there was a doubleheader, so it is well worth the price. Amazing that a small school like this can print out special tickets for this day only but the Atlanta Falcons can't. Note the UAA logo at the top; this is for the University Athletic Association to which NYU athletics belongs. Hunter College plays out of the City University of New York (CUNY) conference, which consists of 9 schools around NYC and will provide me with more venue opportunities in the new year, as my long-distance travel will be curtailed. On this day, the south bleachers were folded in, so the 266 in attendance got cozy on the north side. 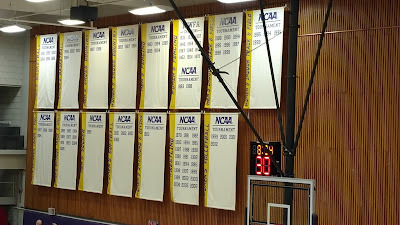 There are banners on one wall, but they are for the Hunter College Hawks. I'll probably stop by once to see them too, though it won't count as a new venue. Penn State Altoona were the visitors, and they were the better team early, taking a nine-point lead into halftime. Or so we thought. 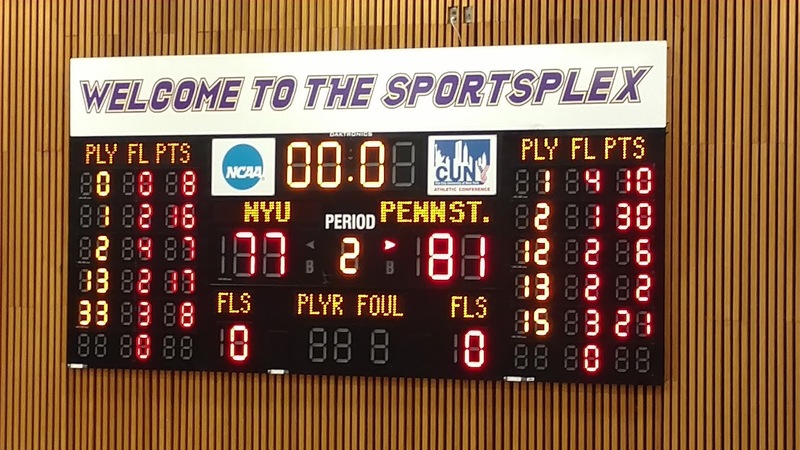 As NYU was dribbling out the half, the whistle blew as the buzzer sounded. Travelling was called and the Lions had 0.9 seconds given back to score a miracle trey, which is exactly what they did. Aubrey Washington took the inbounds pass, turned, and launched a prayer that found nothing but net to make it 47-35 at the break. 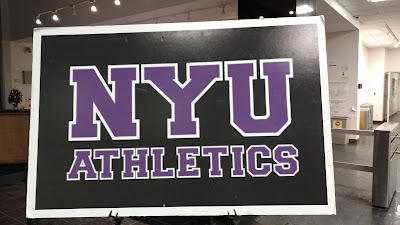 The advantage remained in double digits through much of the second half but down 13 with 8:45 to go, NYU went on an 11-2 run to make it close, and then chipped away, tying the game at 77 when Ross Udine missed two free throws, grabbed his own rebound, and heaved an unlikely three pointer with just under a minute to go. 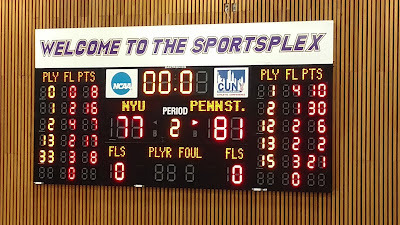 Unfortunately, a NYU foul on a PSA rebound gave the visitors a couple of free throws, which they made, and after Udine missed a layup, a necessary foul led to the final two points as Penn State Altoona won 81-77. 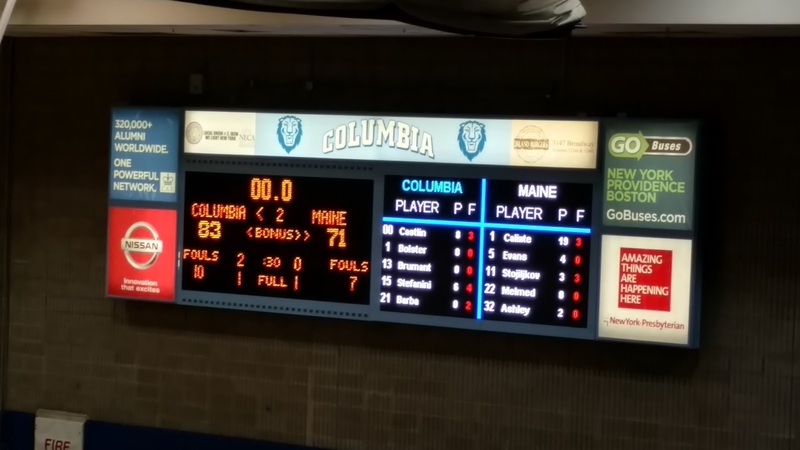 For me, it was quite interesting to see mid-major and Division III hoops in quick succession. There is no doubt that Division I is more polished (24 turnovers compared to 39 and several pretty plays) while this game had far fewer set plays and more running and gunning, but it was also more entertaining. 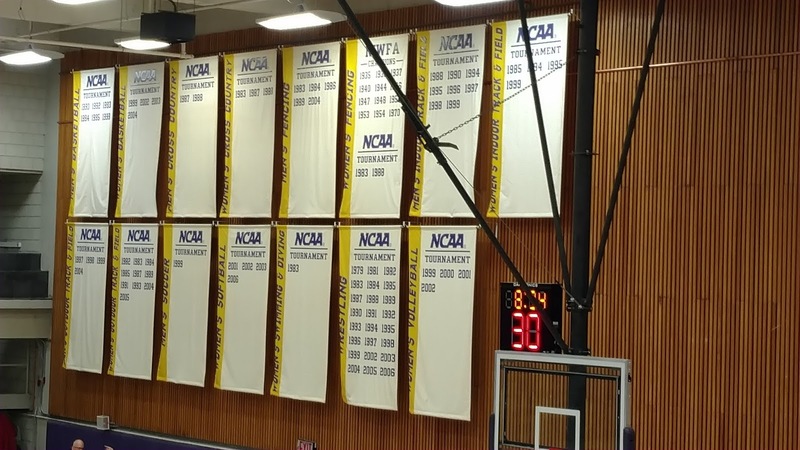 If you enjoy live sport of any variety, have a look at the lower divisions in NCAA, and you might be pleasantly surprised. Manhattan College also had a game on this day, a 7:00 start up at Draddy Gymnasium in the Bronx. Too far to make it a Manhattan tripleheader unfortunately. 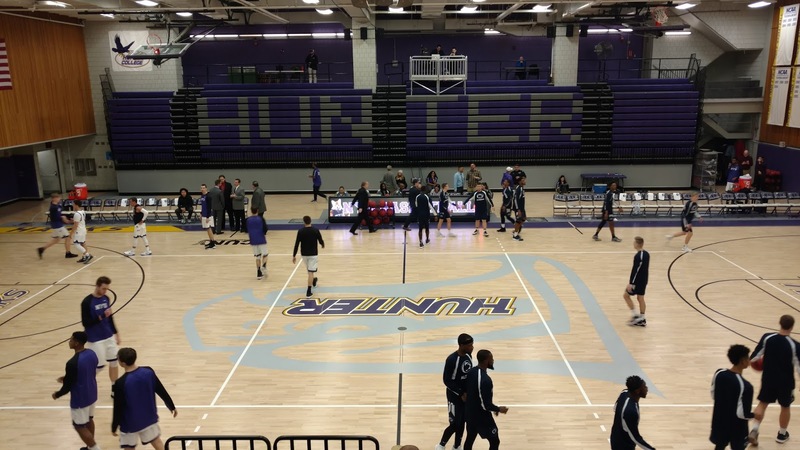 The Hunter College Sportsplex was venue #768 lifetime. I've updated my venue count so it is broken down by sport, and this was basketball court #138, one more than the number of hockey rinks. My claim to being a Canadian has taken a hit, though as Sharpy points out, basketball was invented by a Canadian, so I need not worry. FYI, the CUNY games are free admission. Thanks Dom. 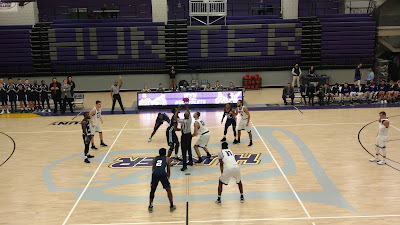 I went to a Hunter College game in mid-January, which has no admission charge as you indicated. 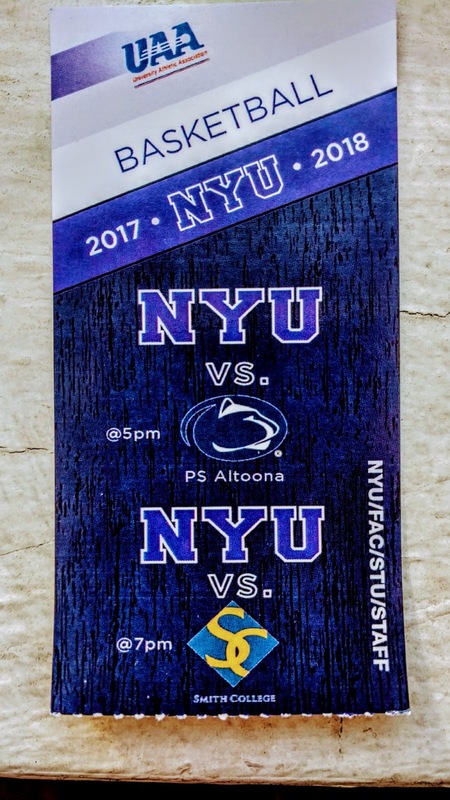 I'd rather pay $5 and get a hard ticket though as a souvenir.